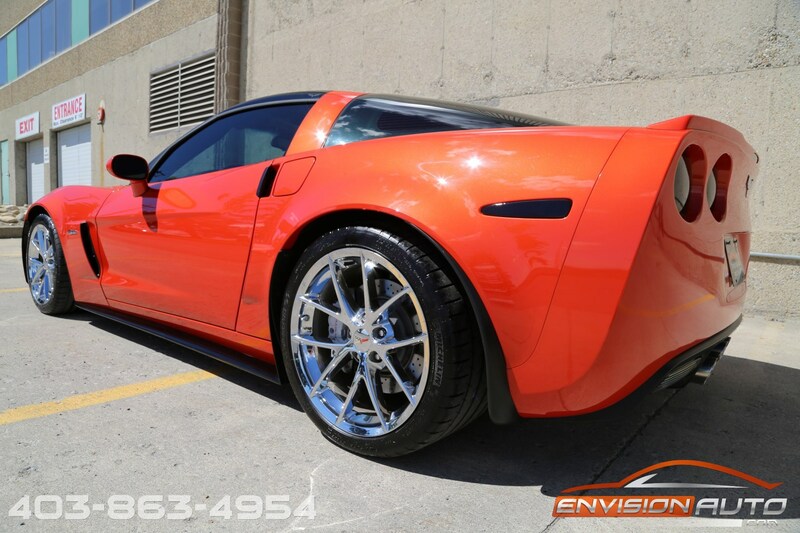 Color : – Inferno Orange Metallic Ext. 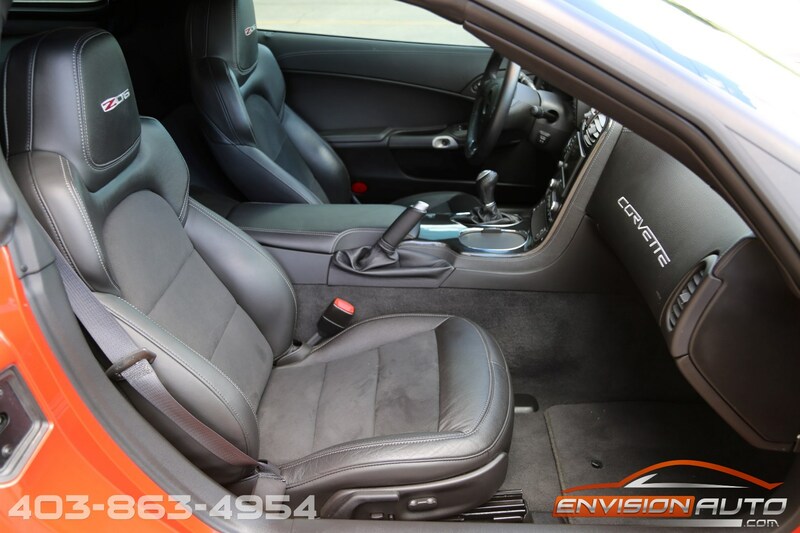 w/ Ebony 3LZ Full Leather Int. 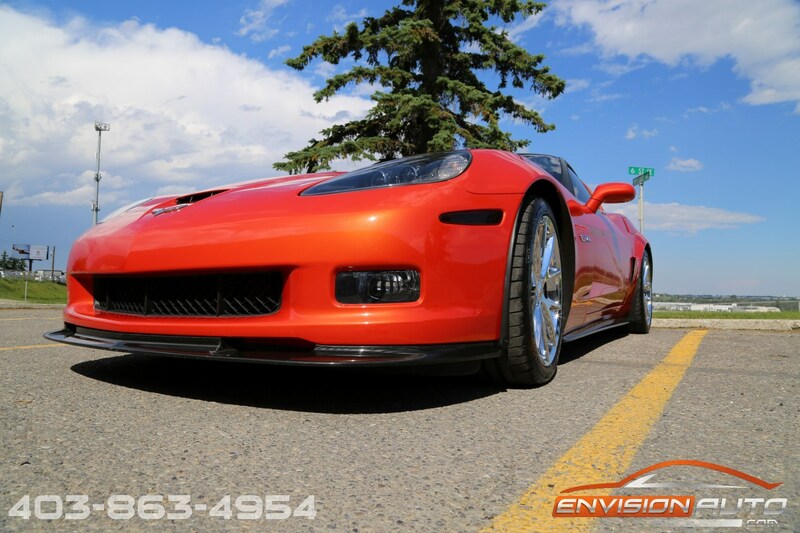 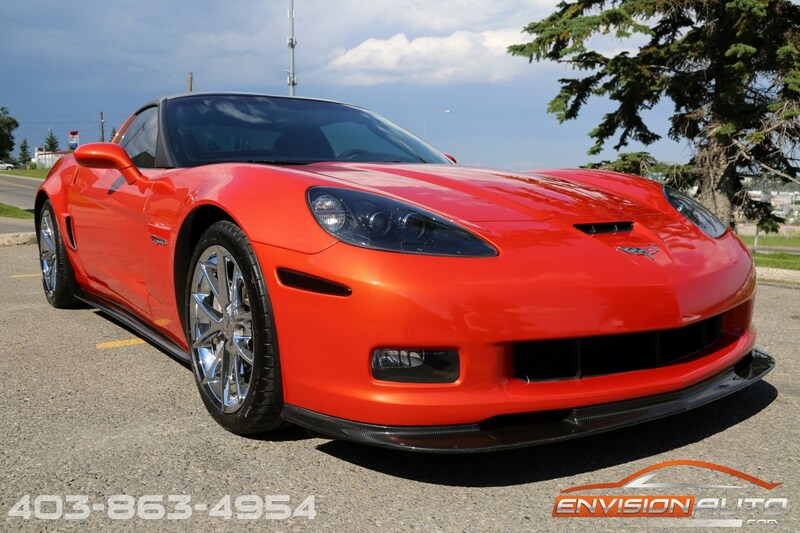 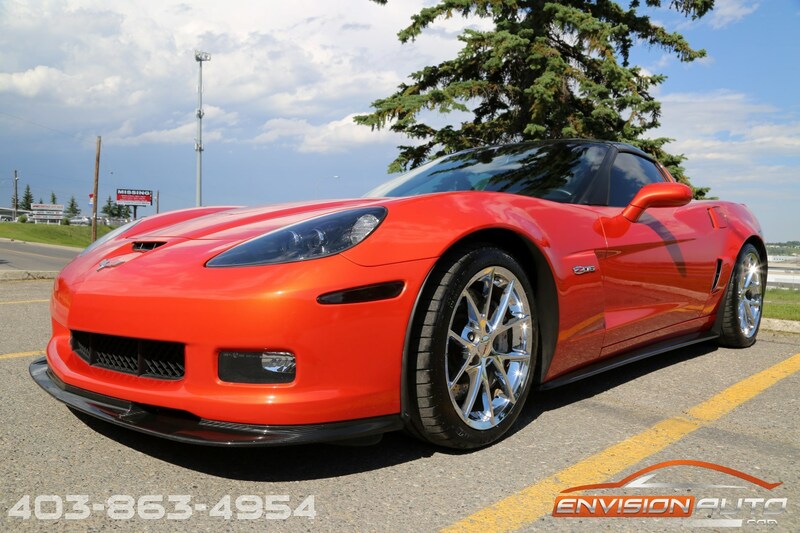 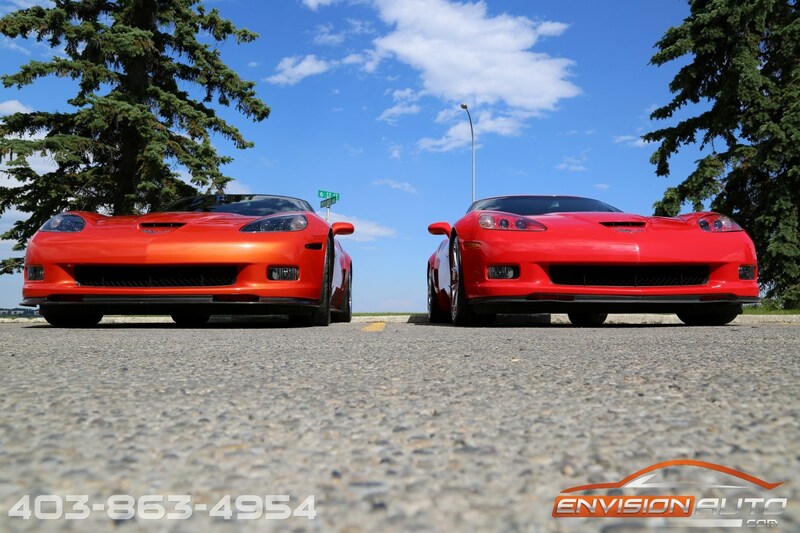 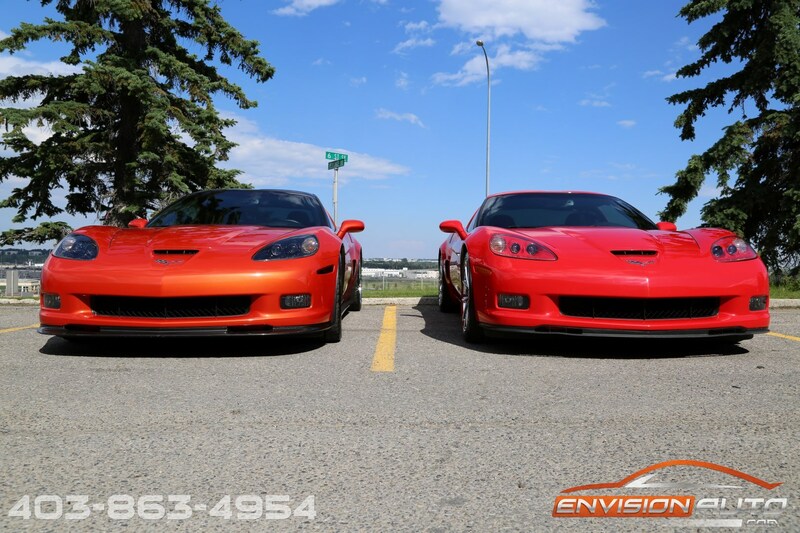 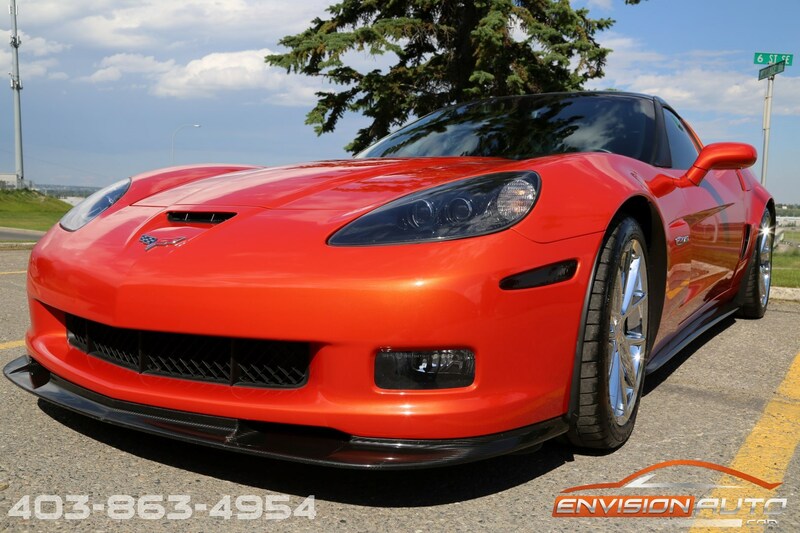 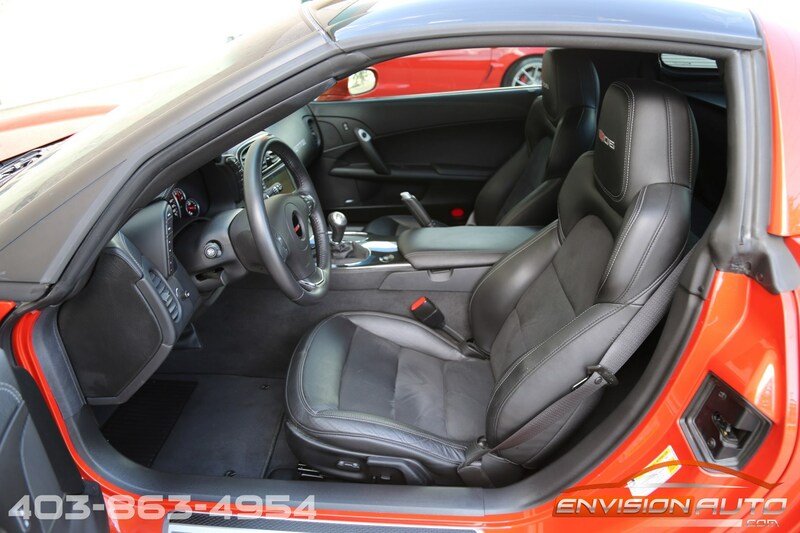 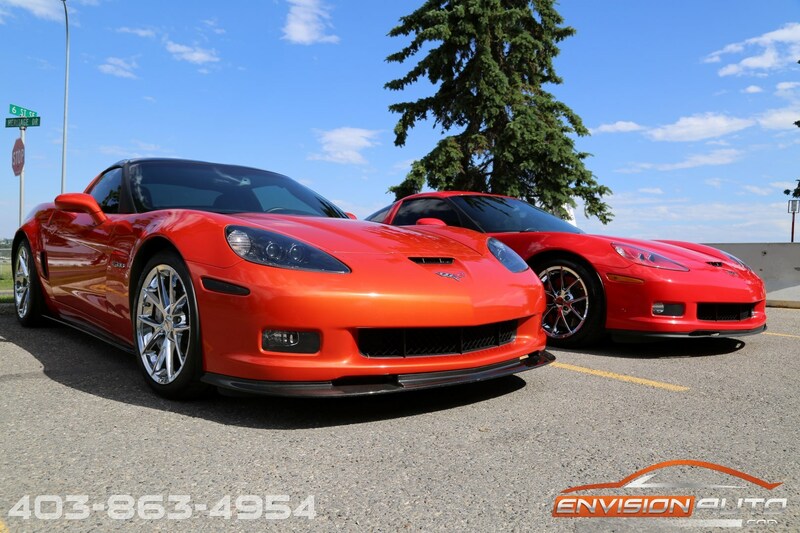 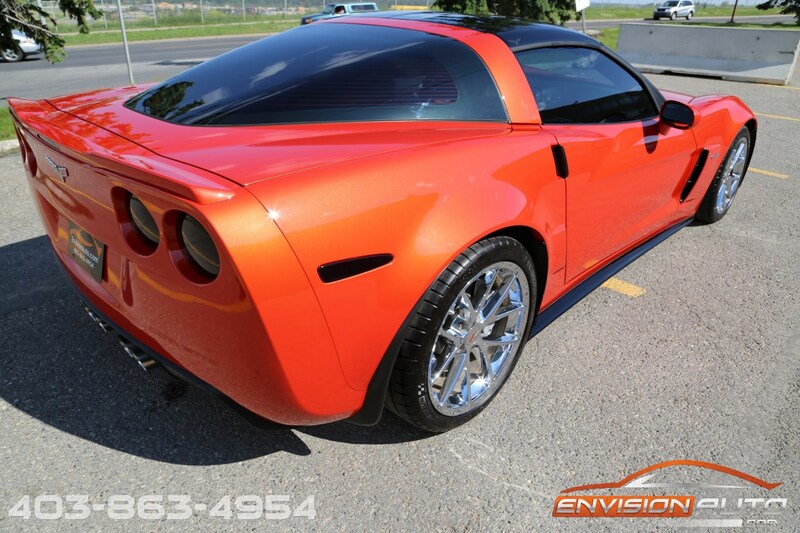 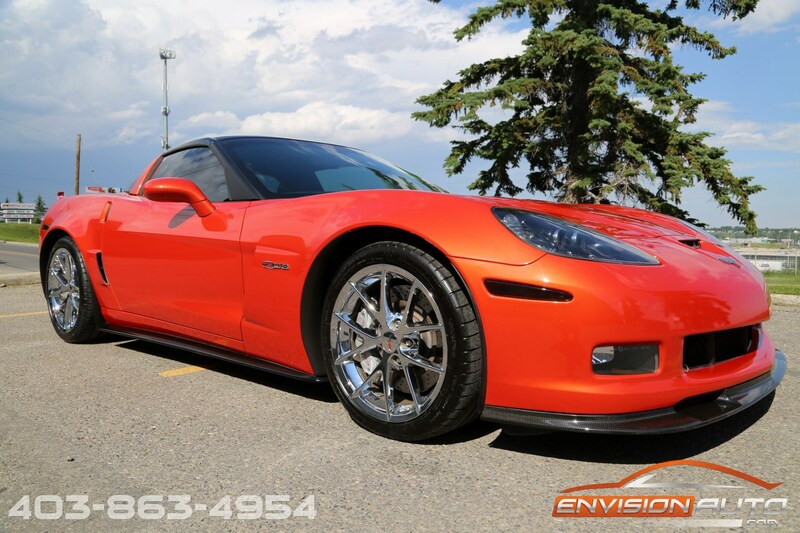 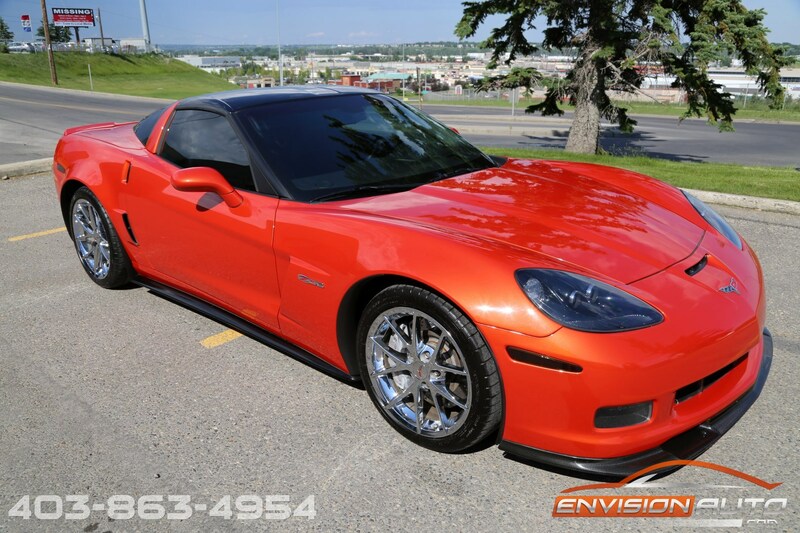 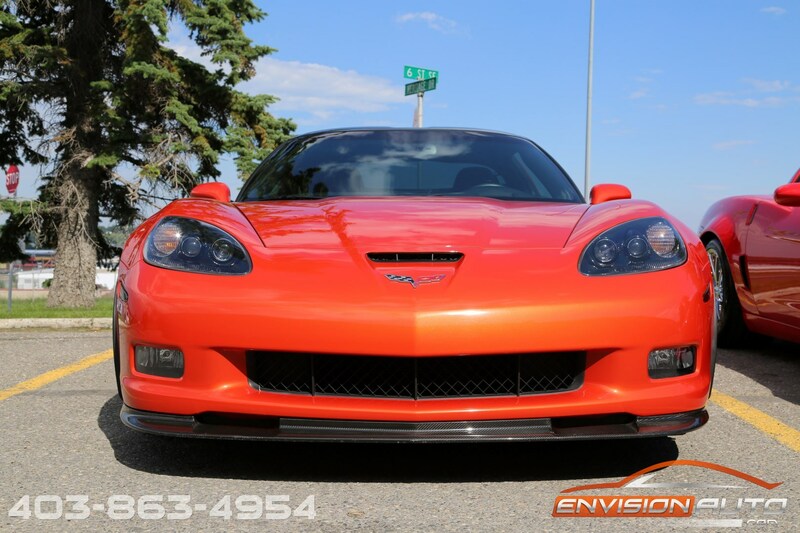 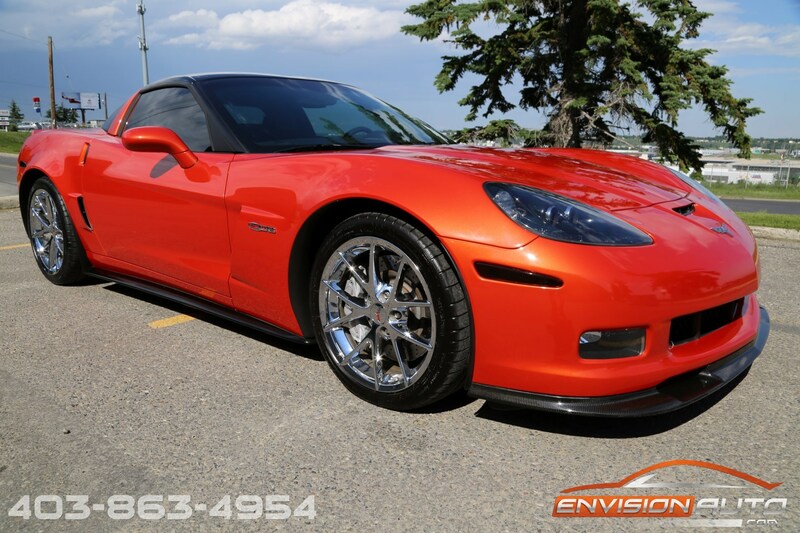 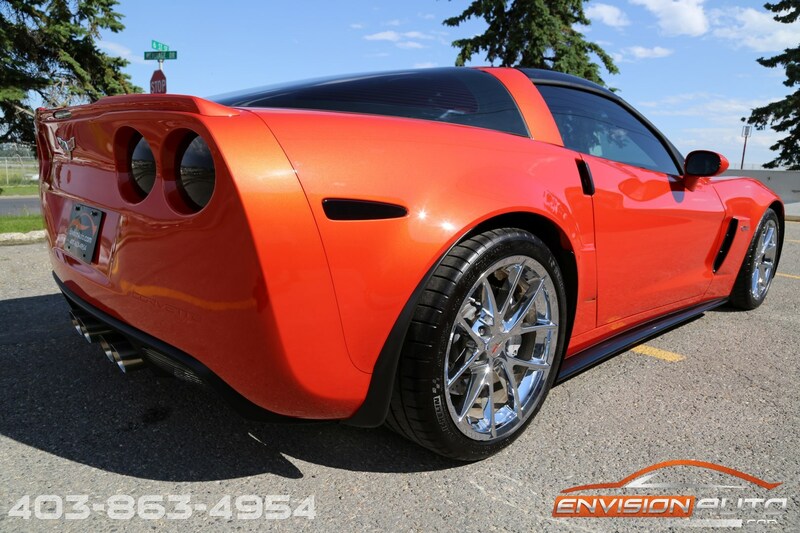 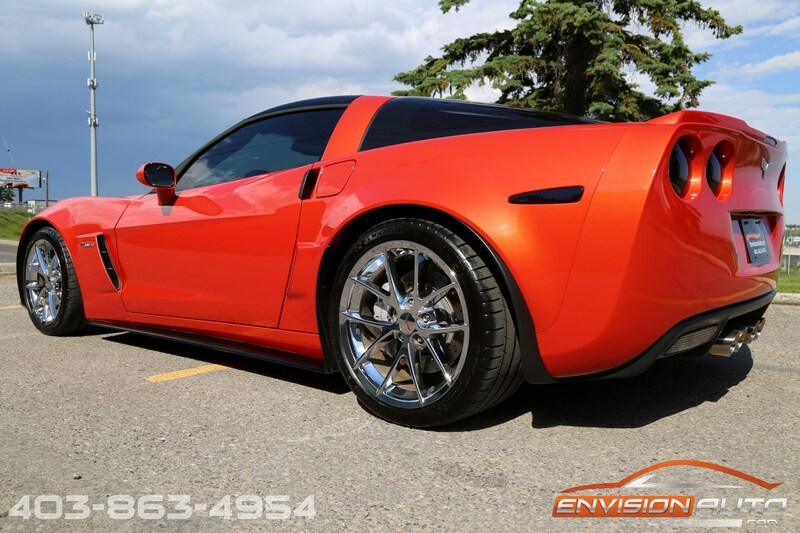 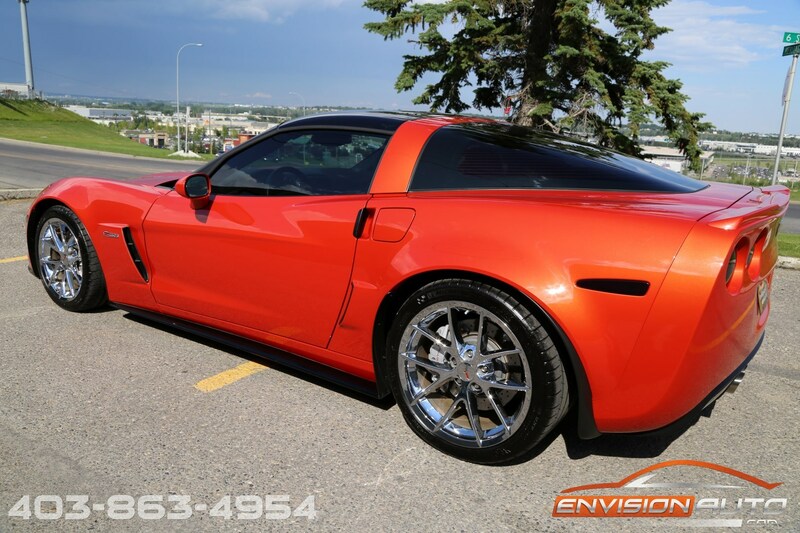 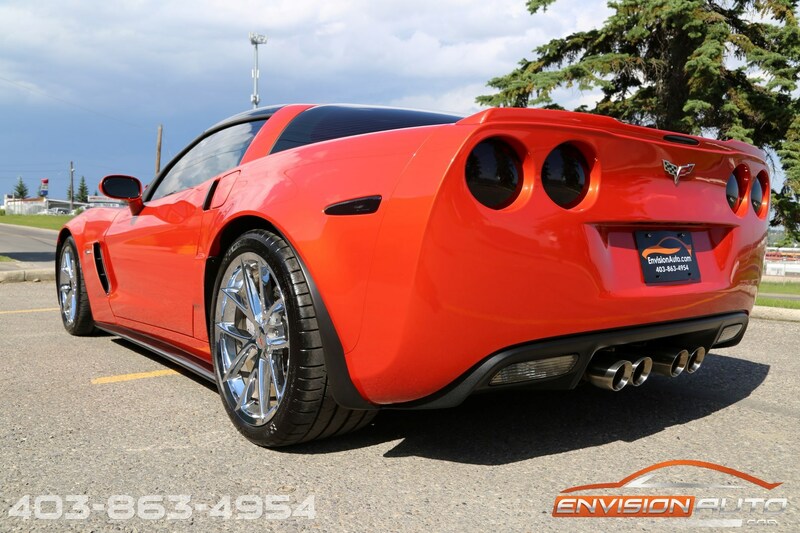 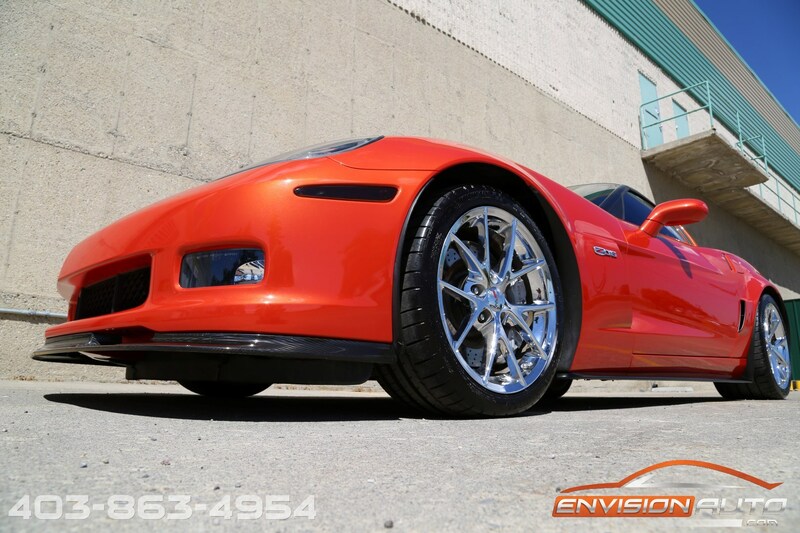 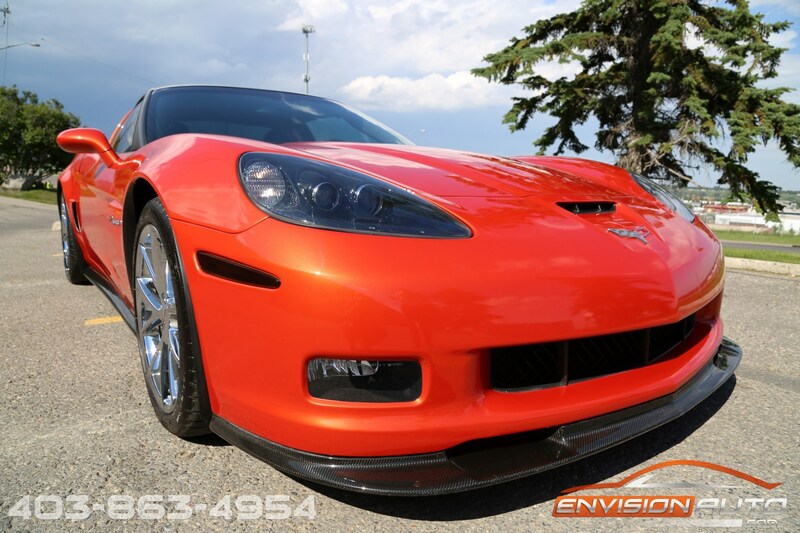 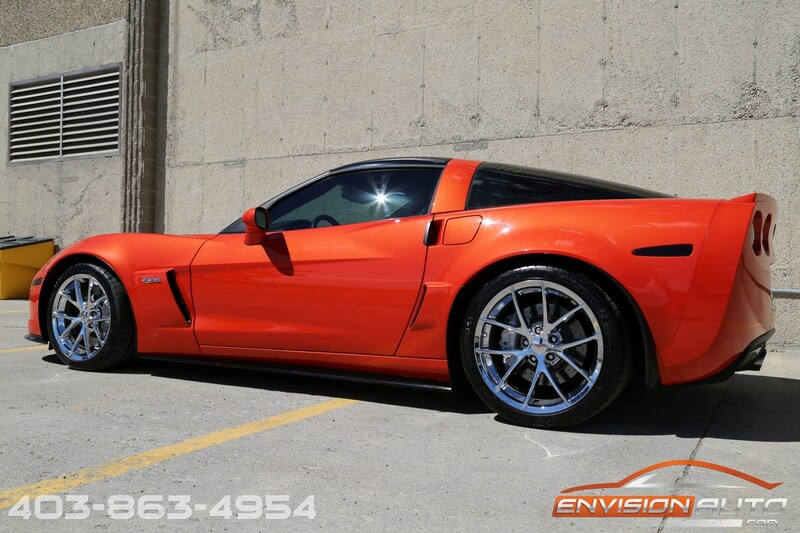 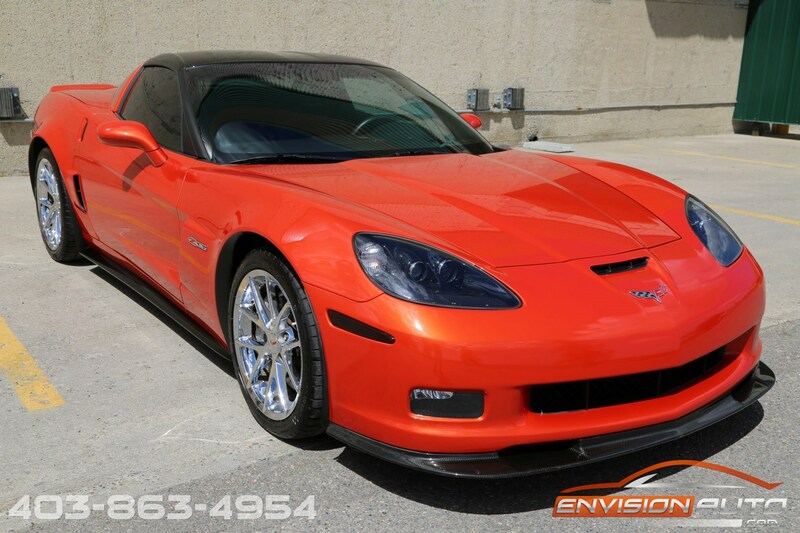 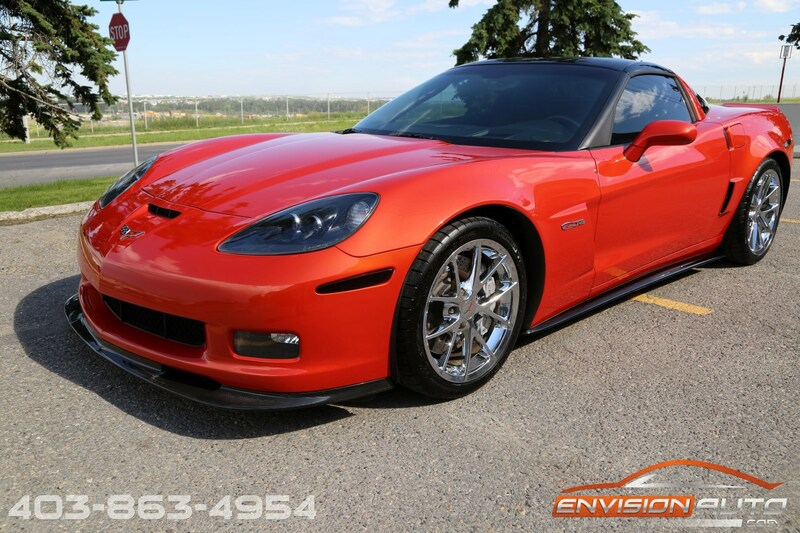 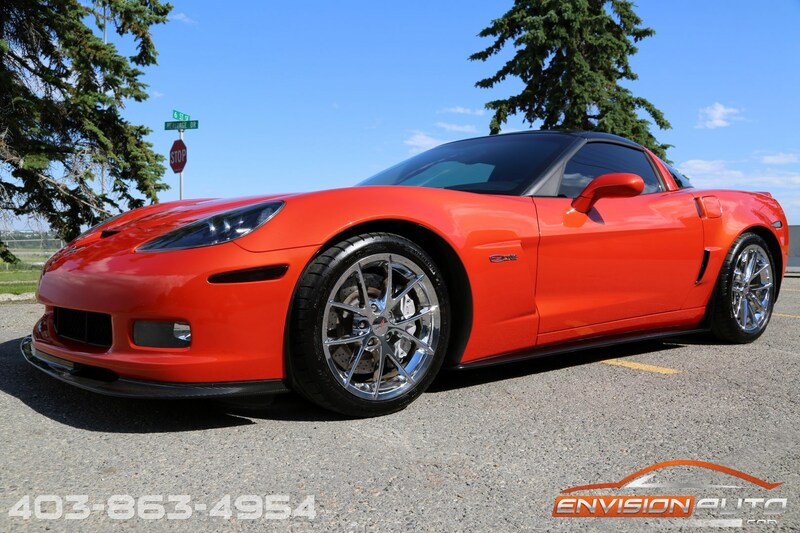 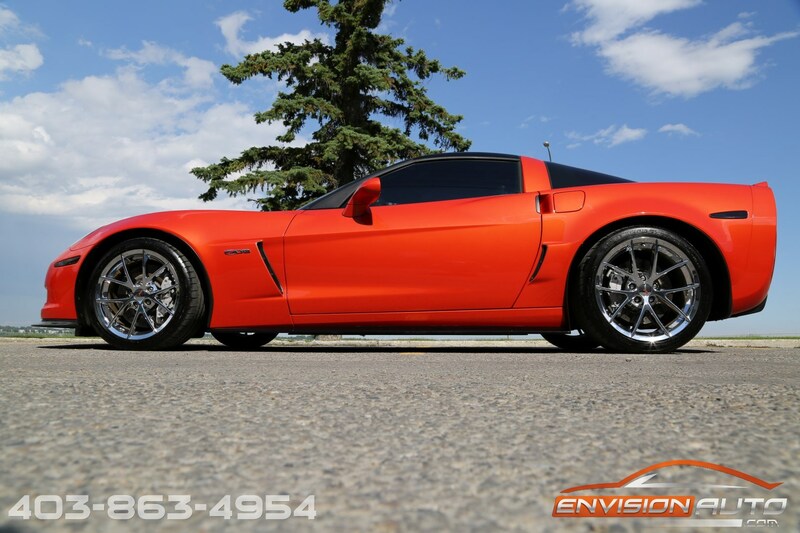 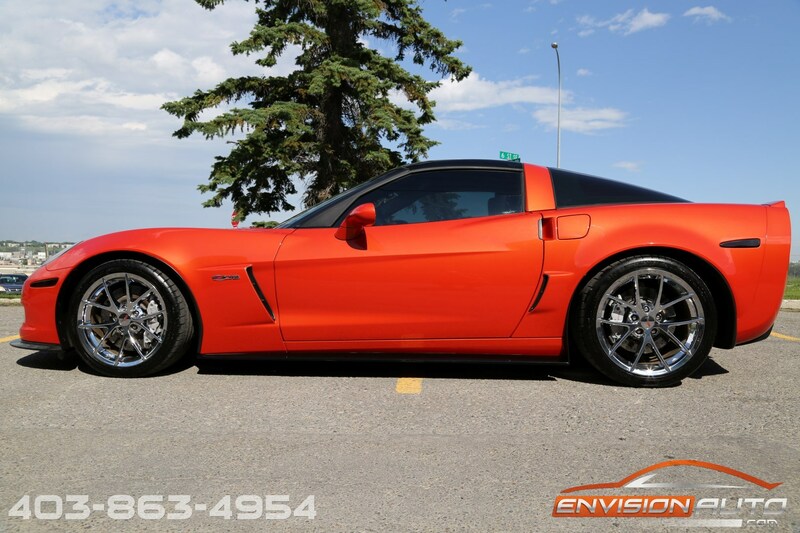 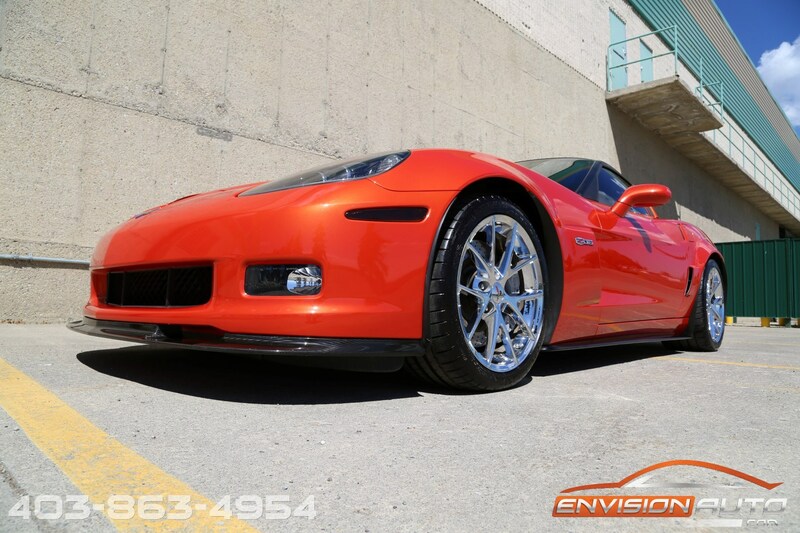 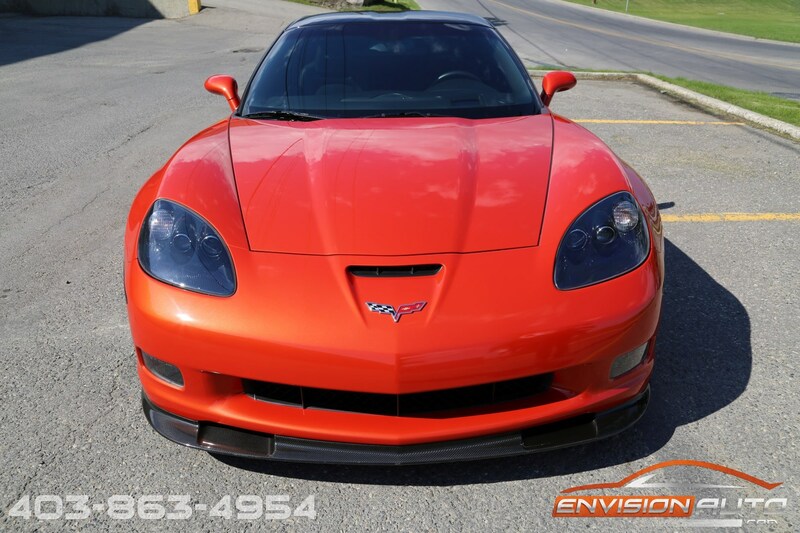 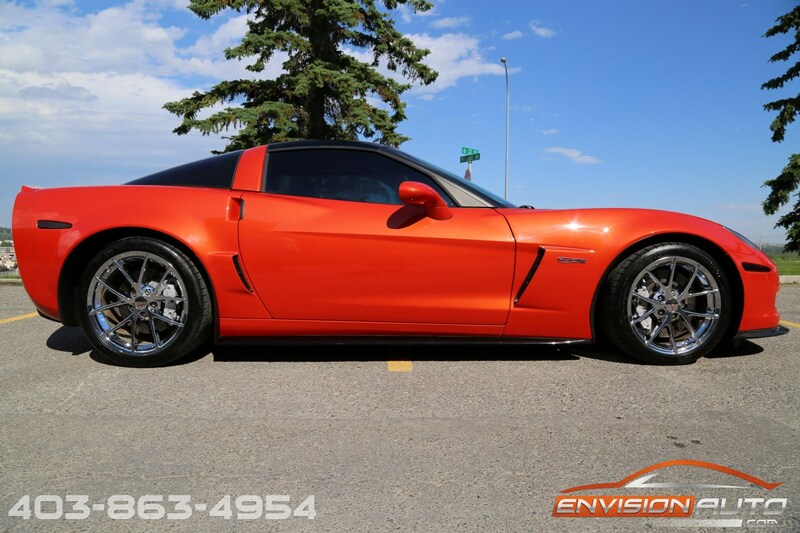 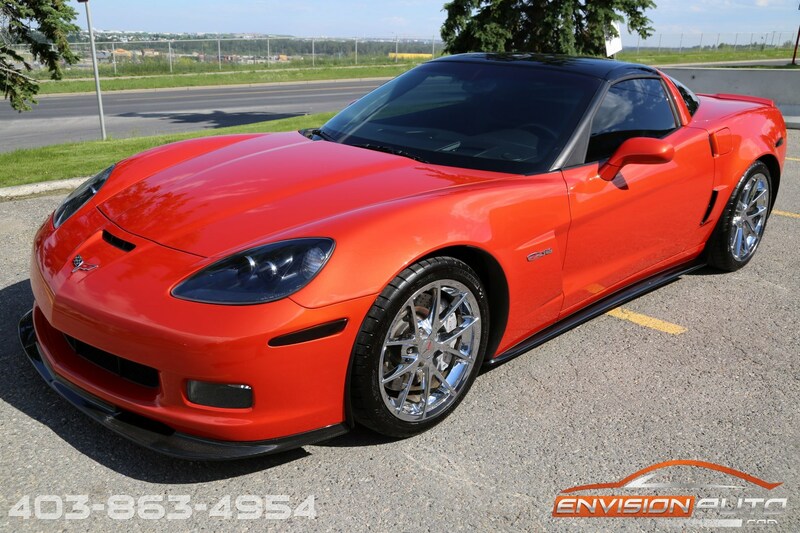 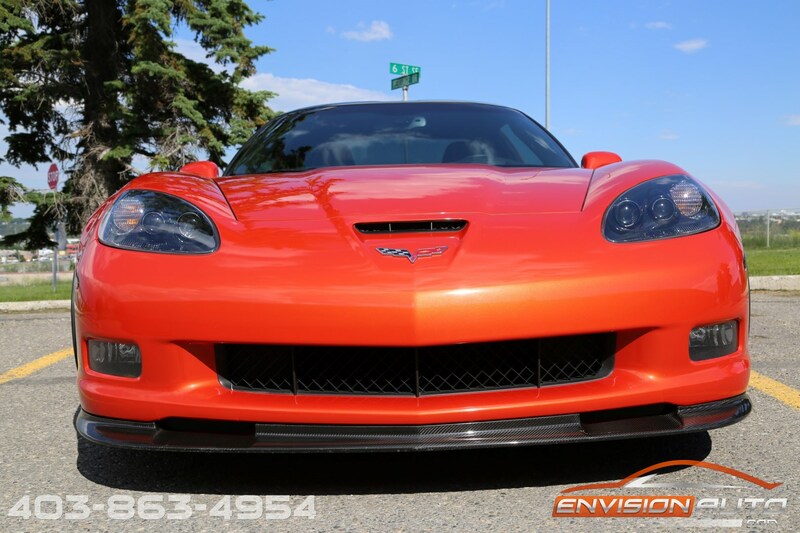 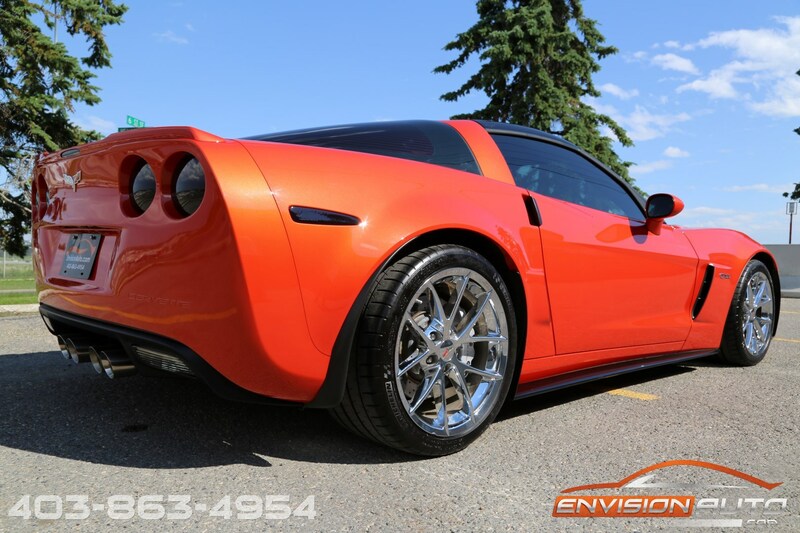 More Details : – INFERNO ORANGE METALLIC \ 7.0L LS7 V8 505HP \ 6 SPEED MANUAL TRANSMISSION \ 3LZ FULL LEATHER INTERIOR \ CFZ CARBON FIBER EXTERIOR APPEARANCE \ CHROME SPYDER WHEELS \ ONLY 24,000 KILOMETERS \ 100% CLEAN CARPROOF HISTORY REPORT! 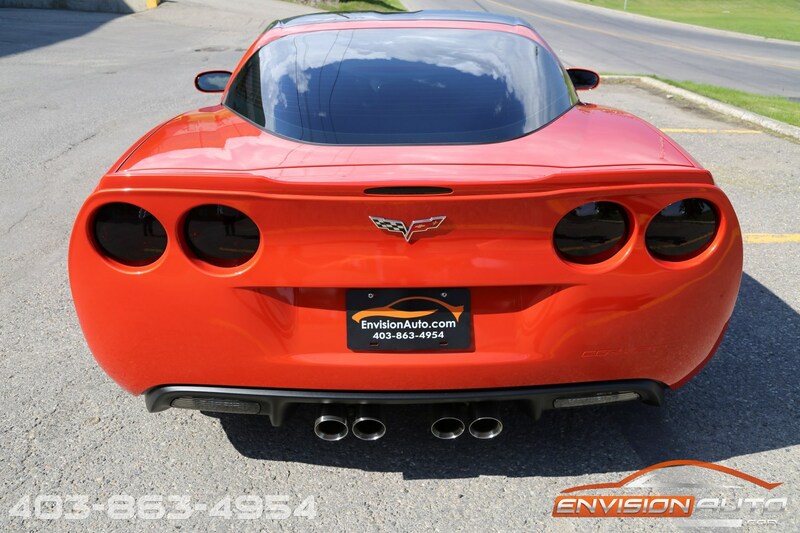 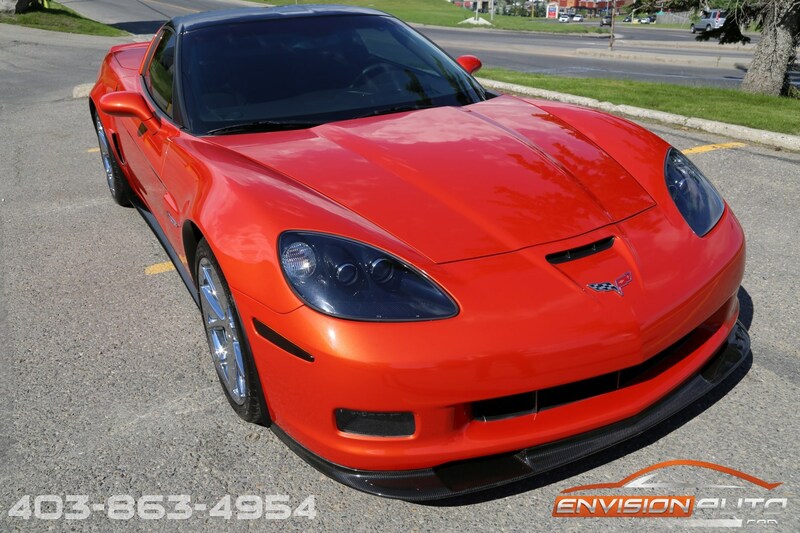 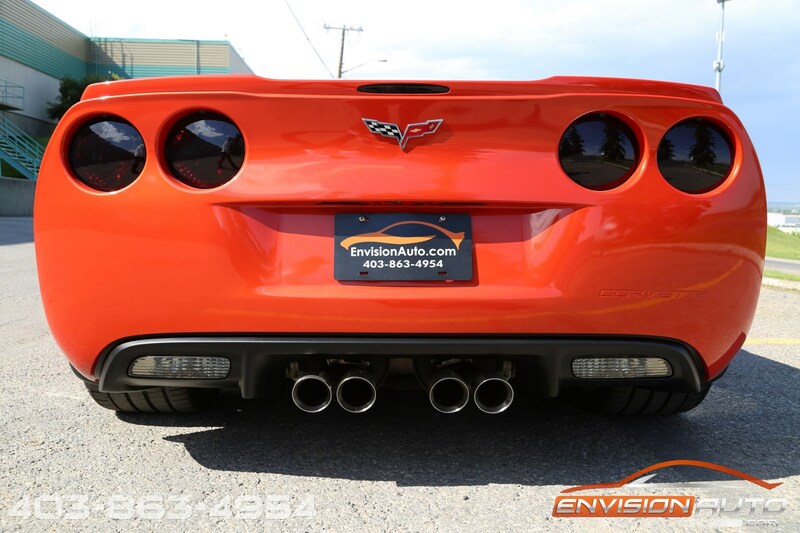 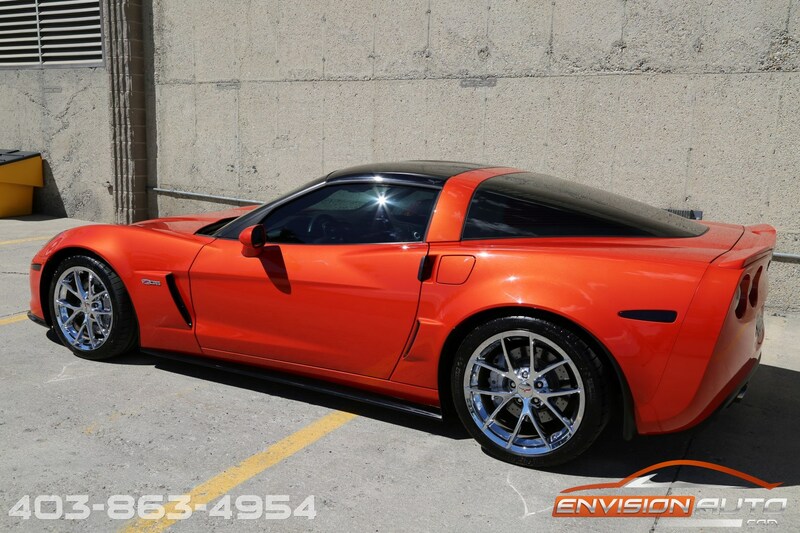 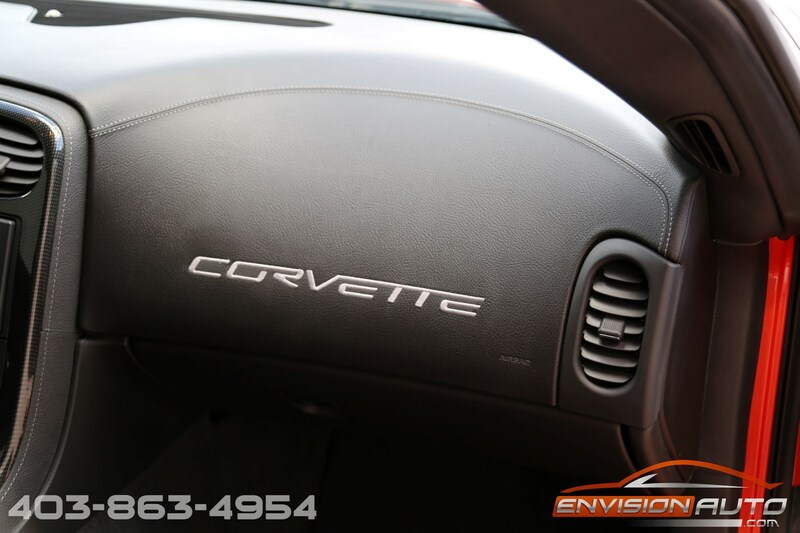 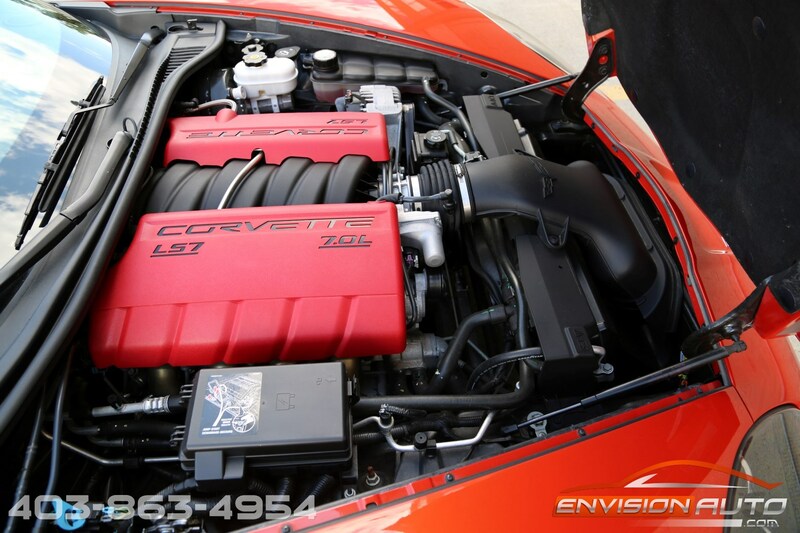 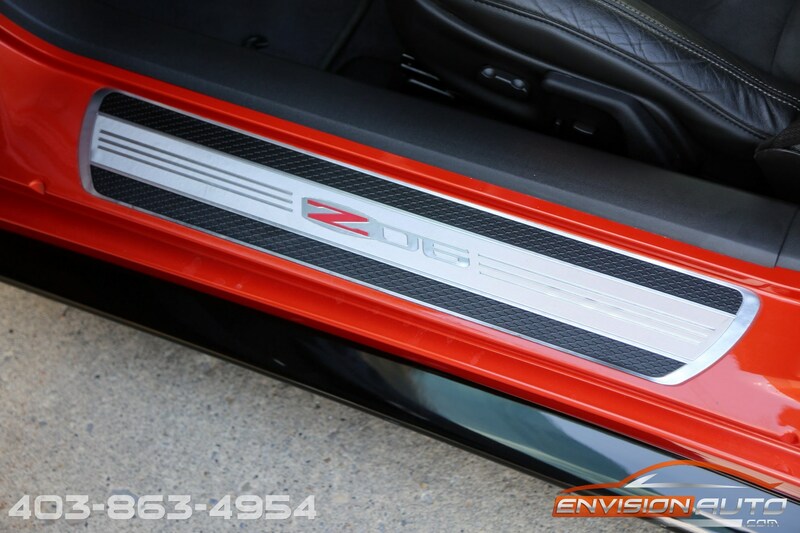 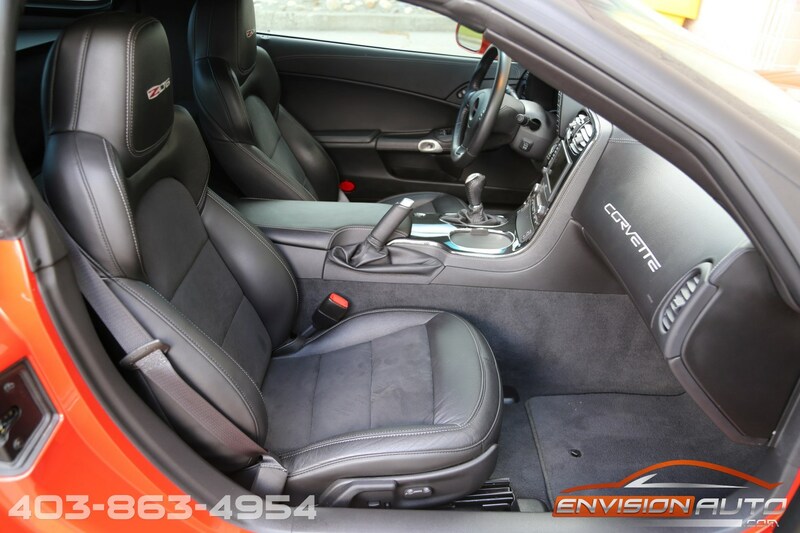 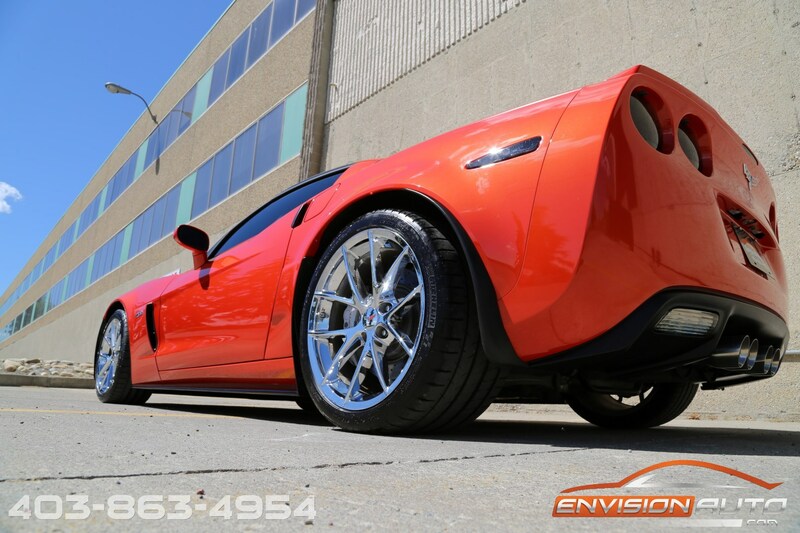 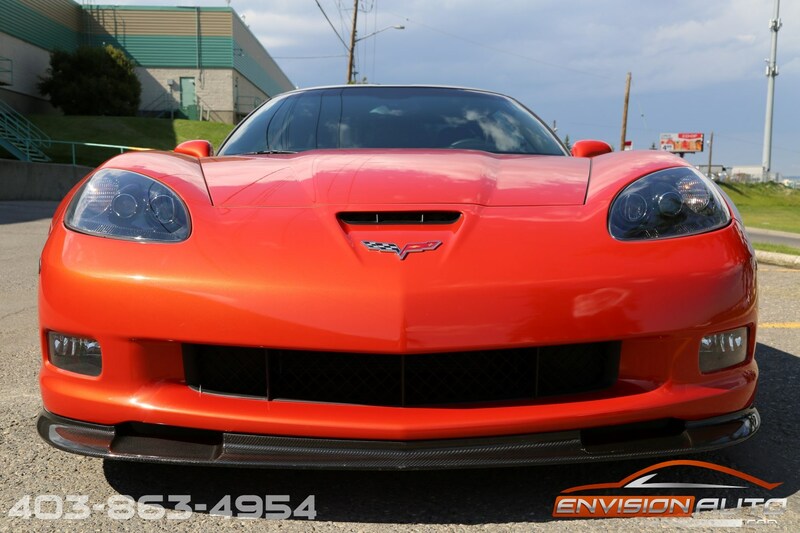 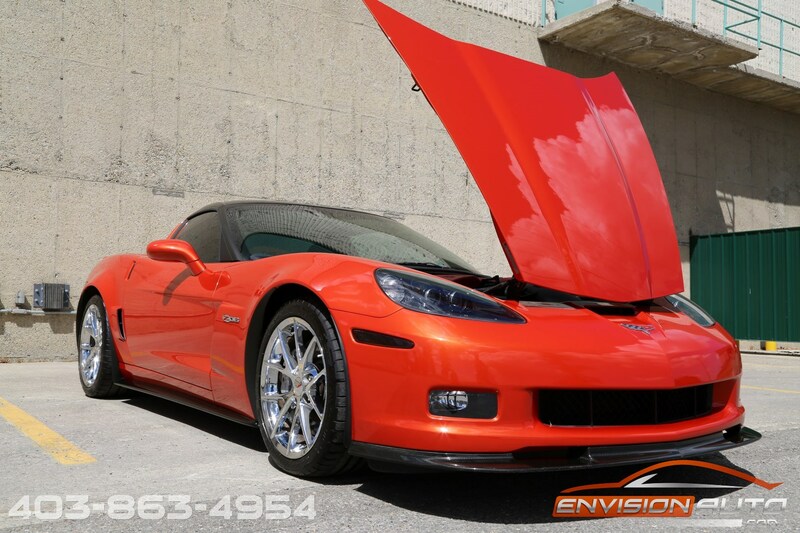 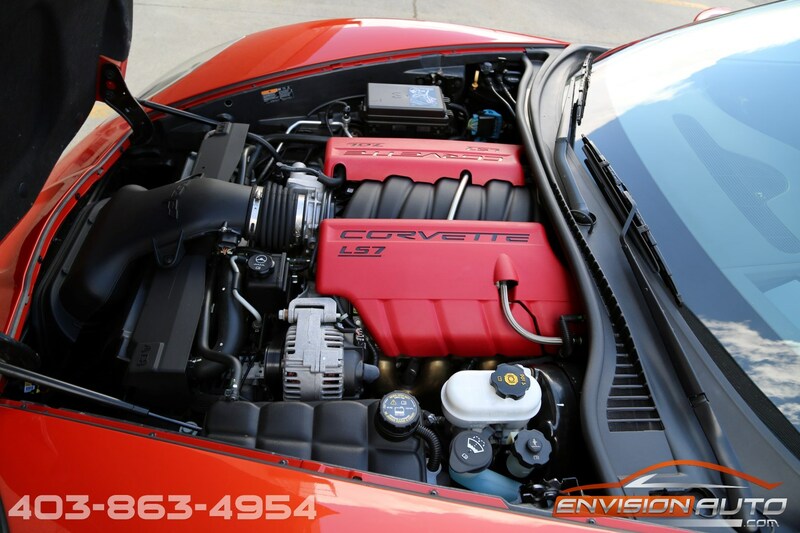 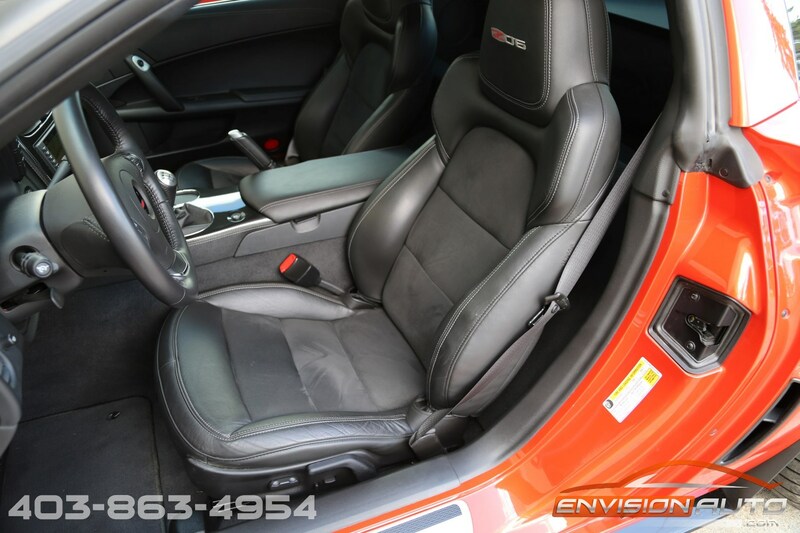 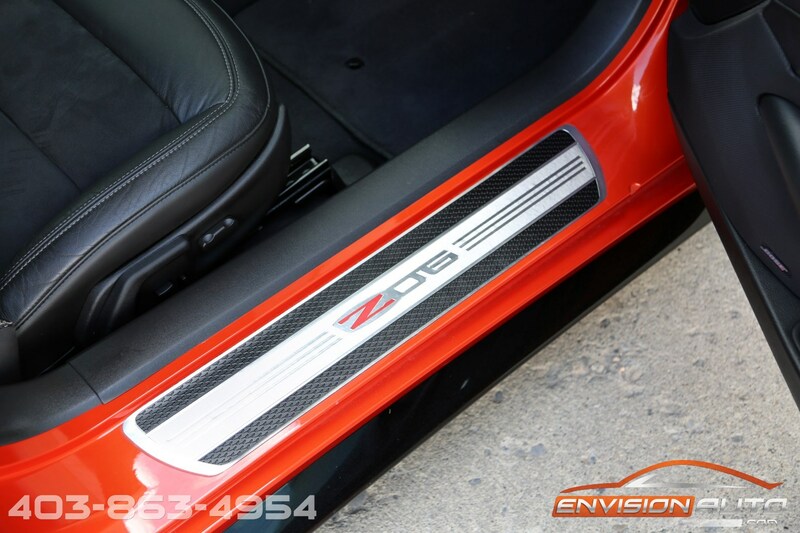 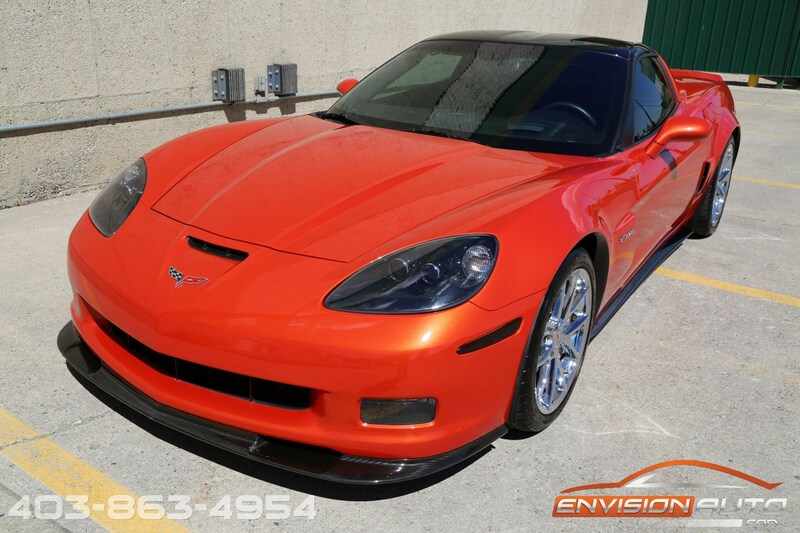 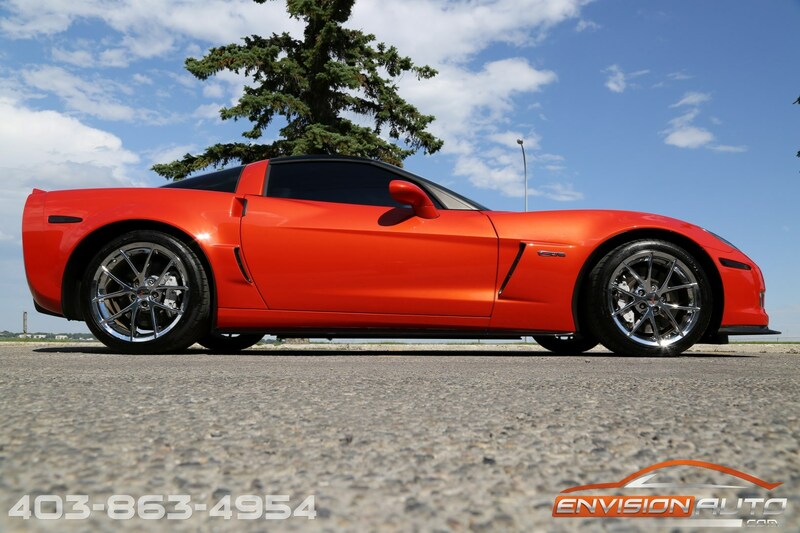 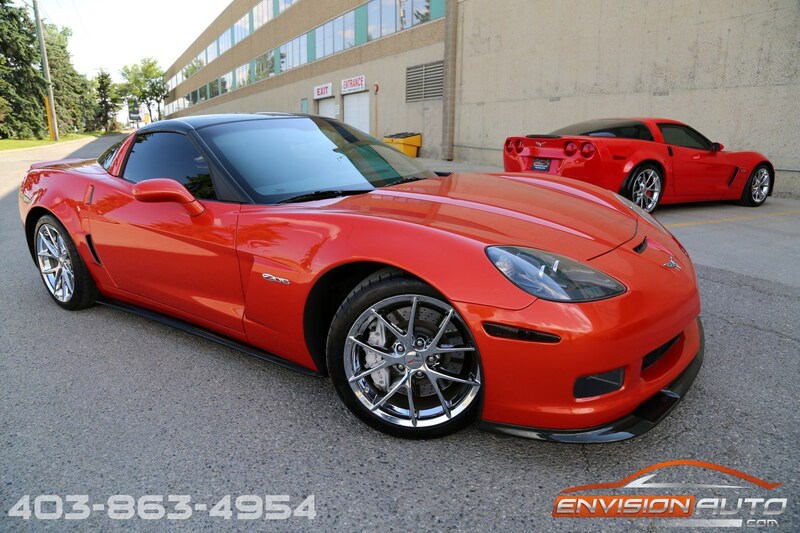 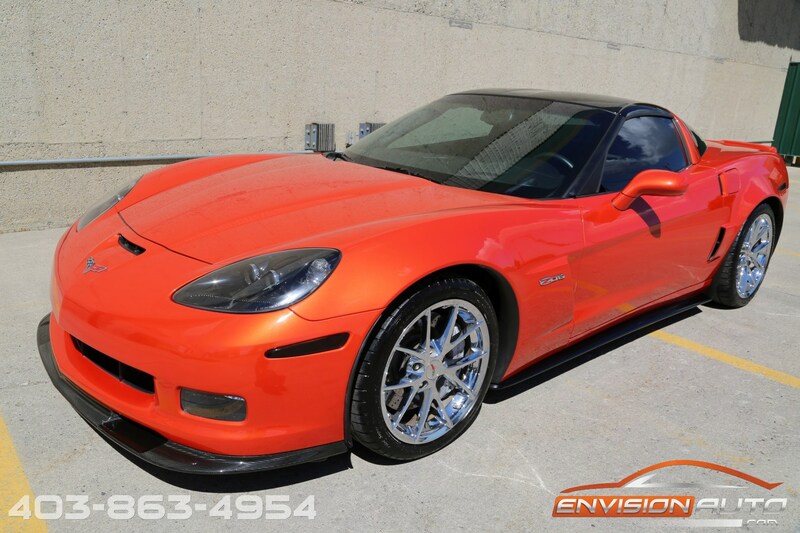 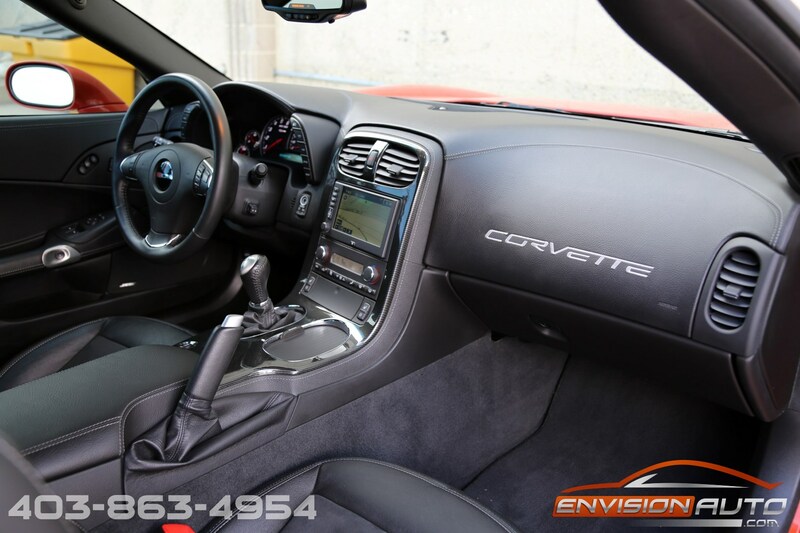 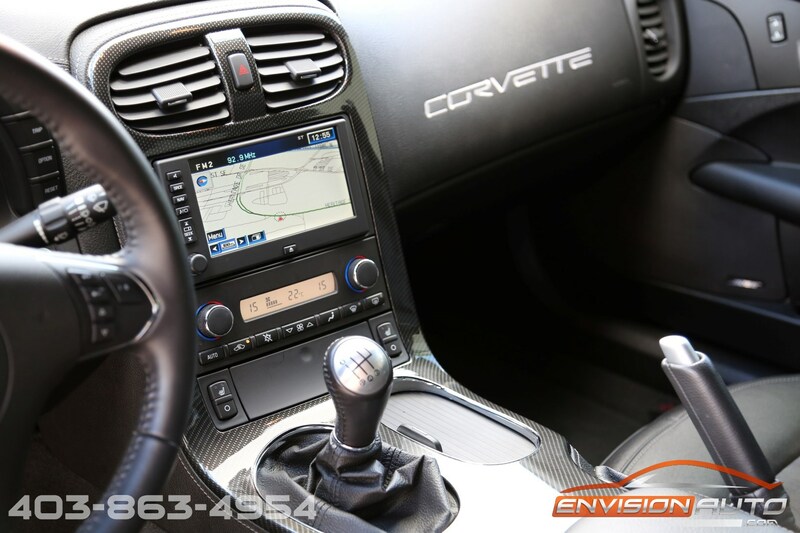 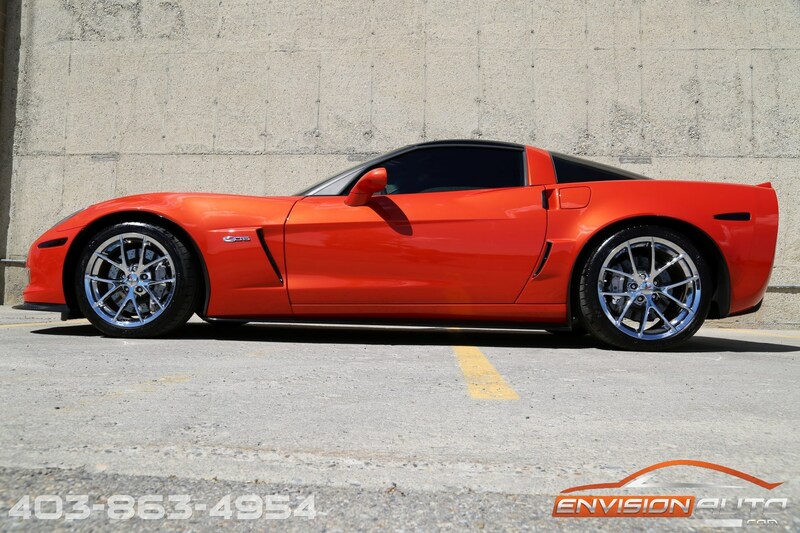 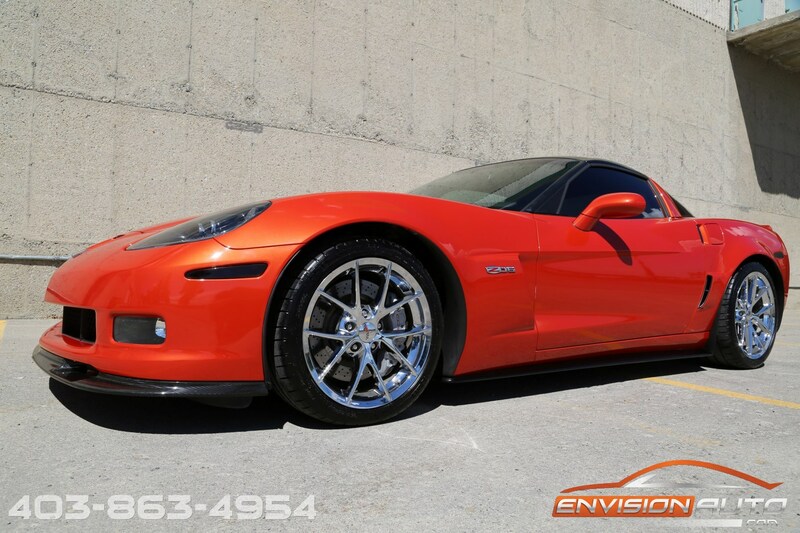 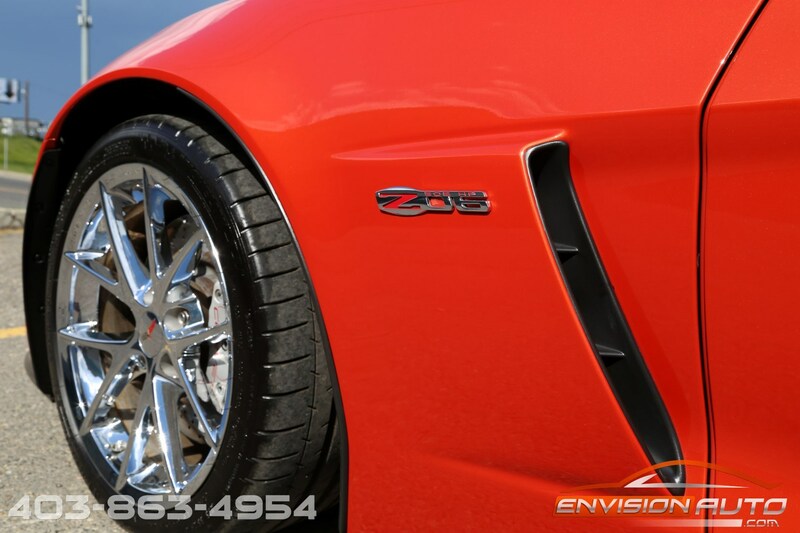 One of the hottest color combos with the most highly optioned packages for the Corvette Z06 – coming equipped with both the full leather wrap interior 3LZ Package and the CFZ Carbon Fiber Exterior Appearance Packages! 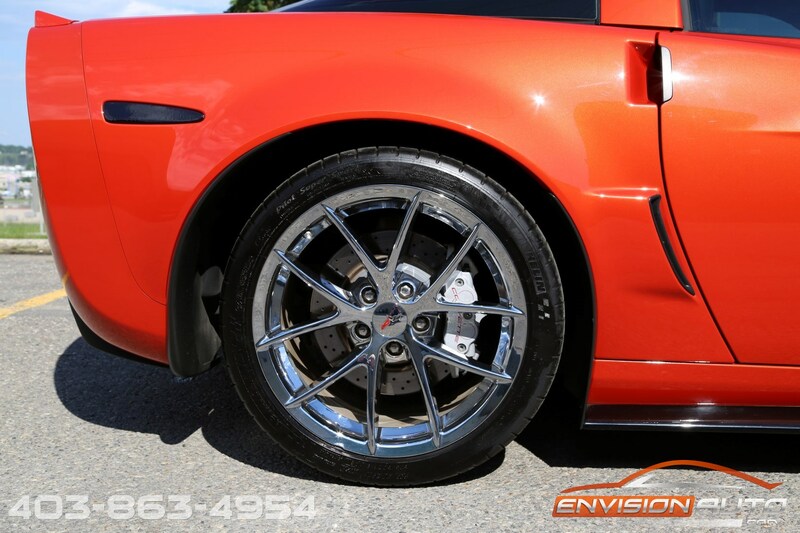 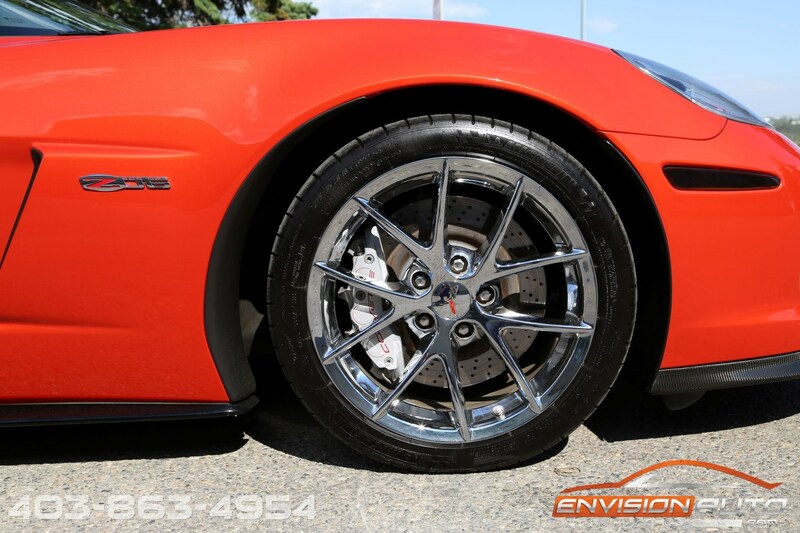 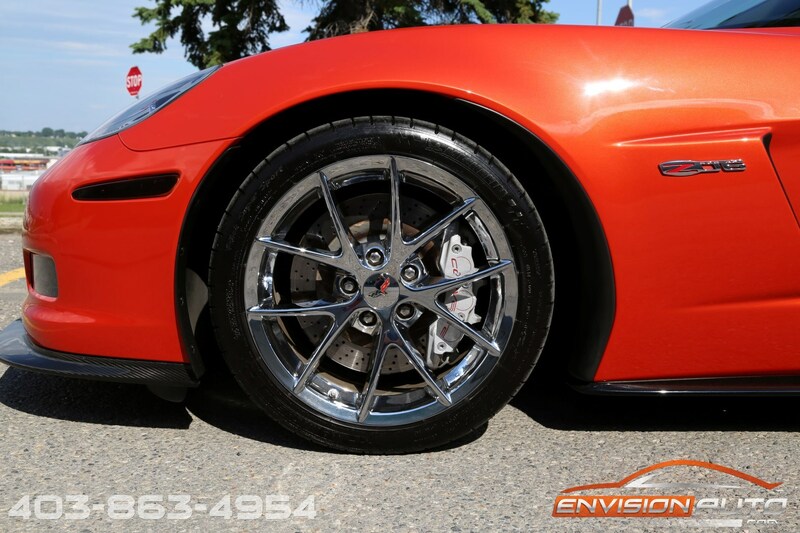 Chrome Spyder Wheel package wrapped in Michelin Pilot Super Sport Tires with nearly full tread life remaining. 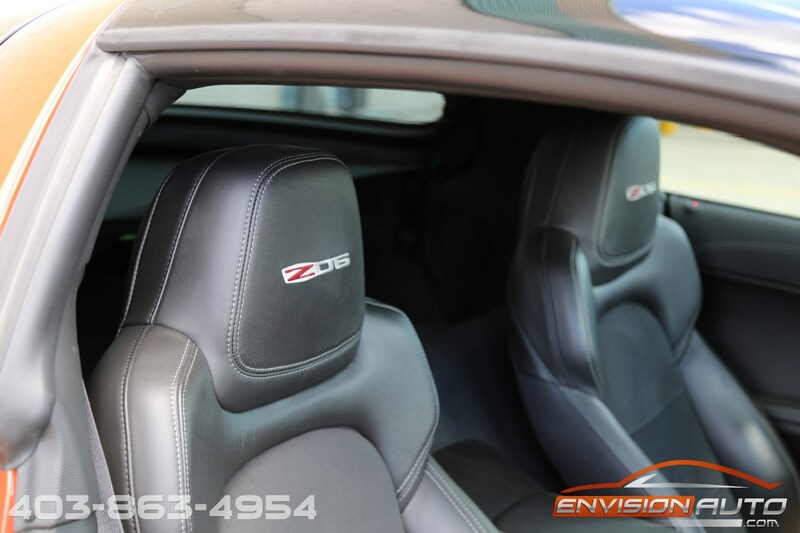 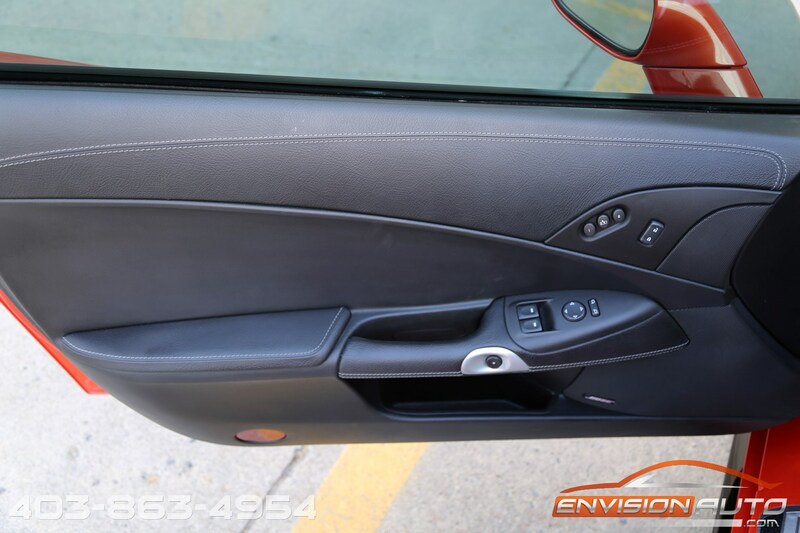 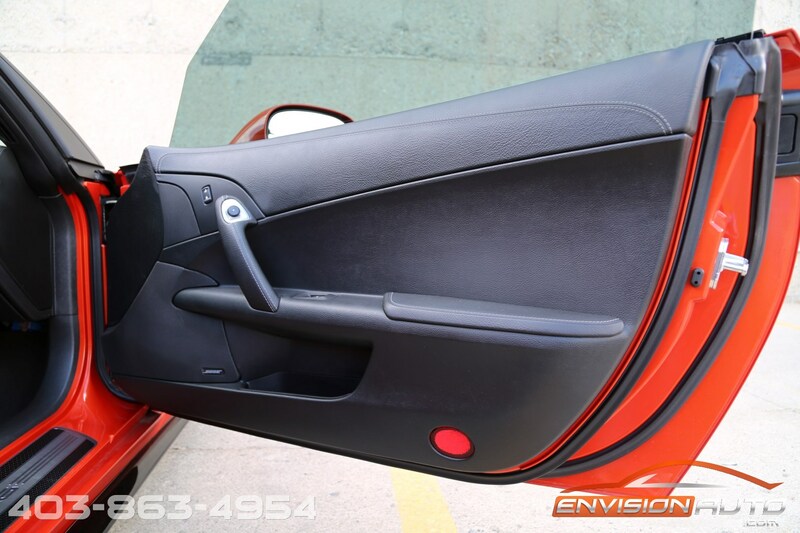 The 3LZ option package includes a custom leather wrapped interior package with sueded microfiber seat inserts, two-toned leather seating surfaces, embroidered head restraints, leather wrapped instrument panel upper- door panel uppers – and center console cover(all with contrasting stitching). 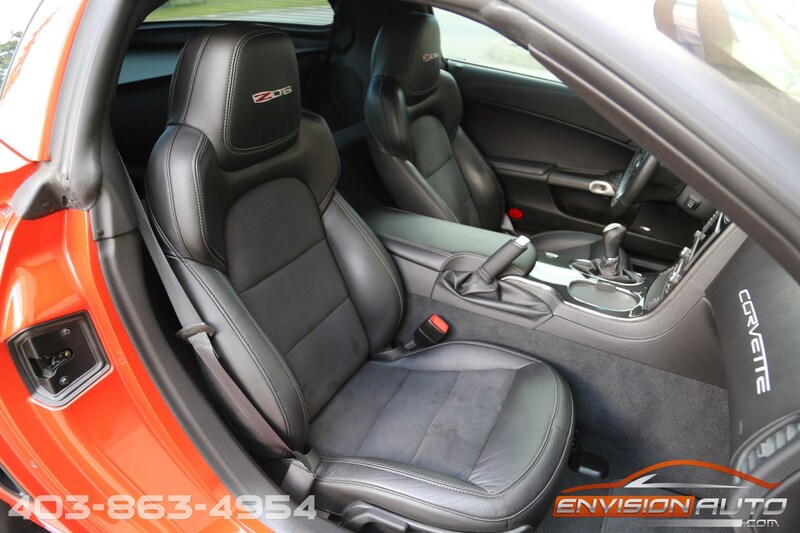 – a $5,000 factory option! 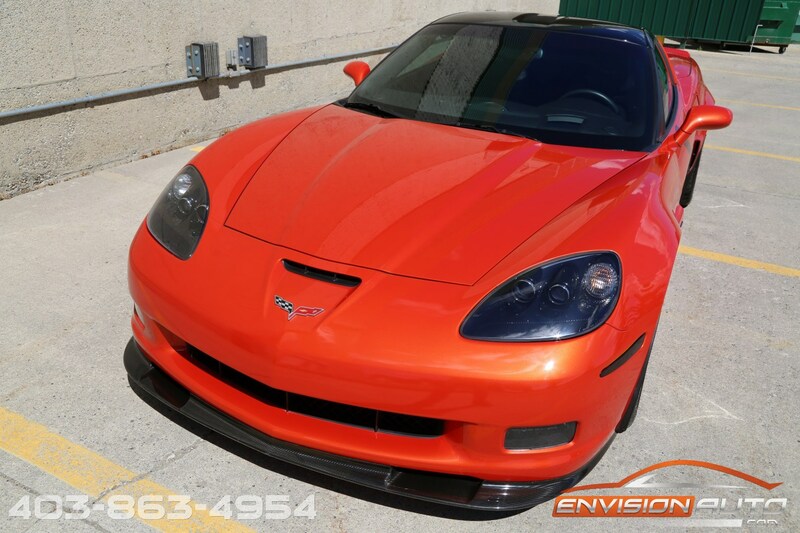 The CFZ carbon fiber exterior appearance option package includes a black painted carbon-fiber roof, carbon fiber side rocker ground effects and front splitter, and body-colored ZR1-style rear spoiler – a $4,000 factory option! 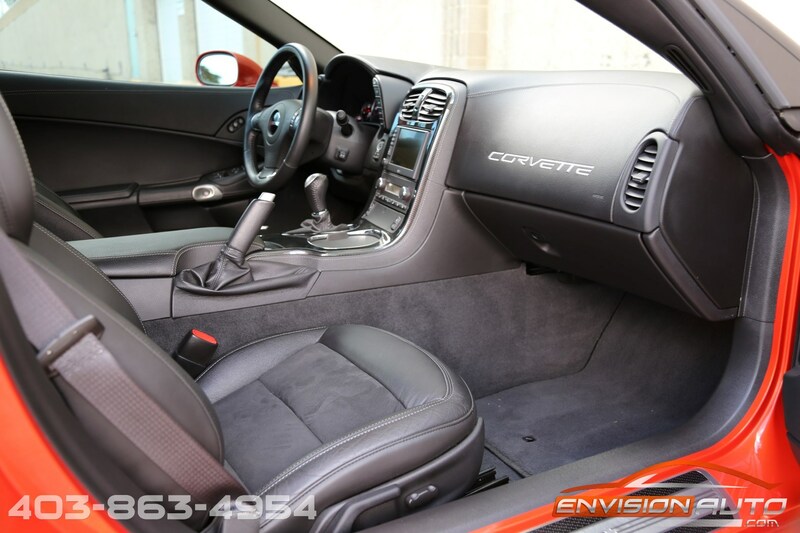 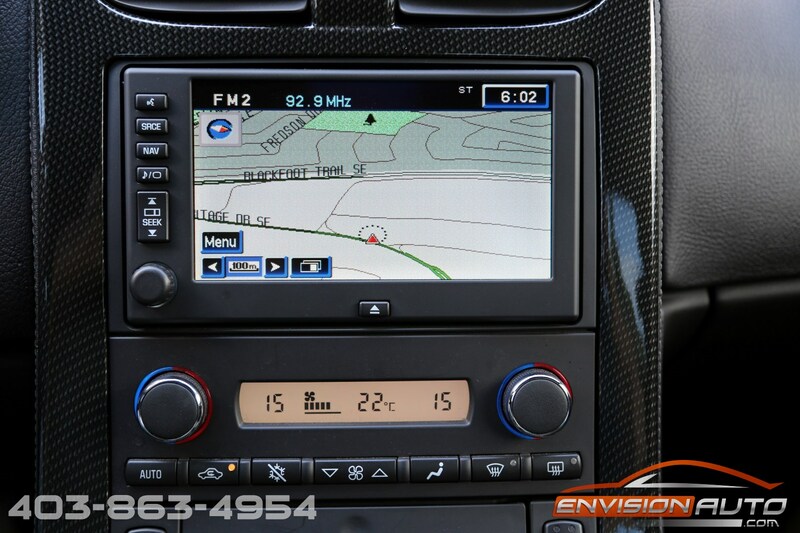 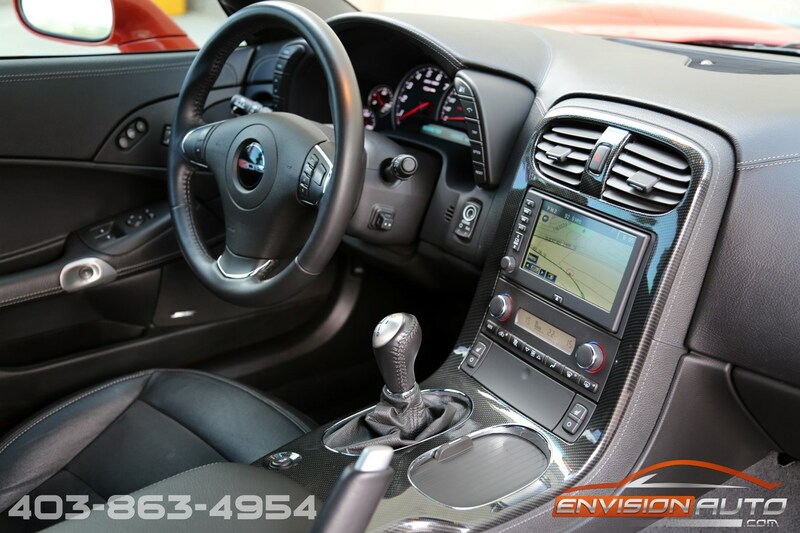 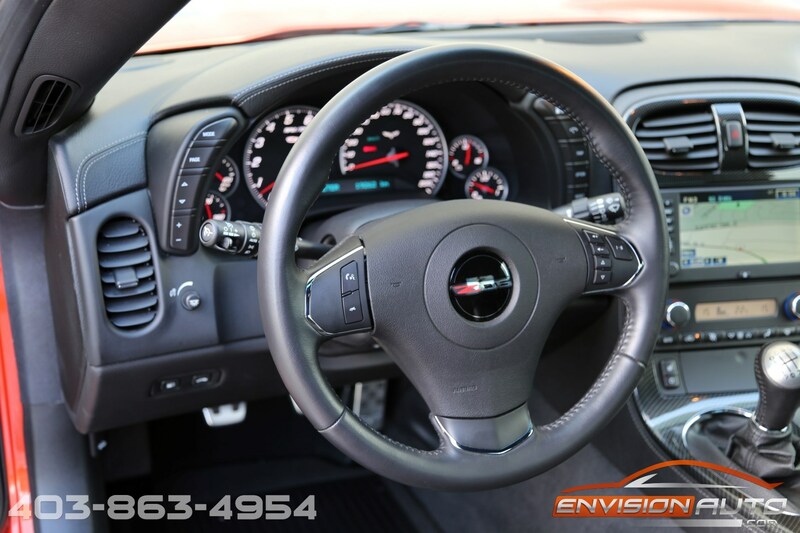 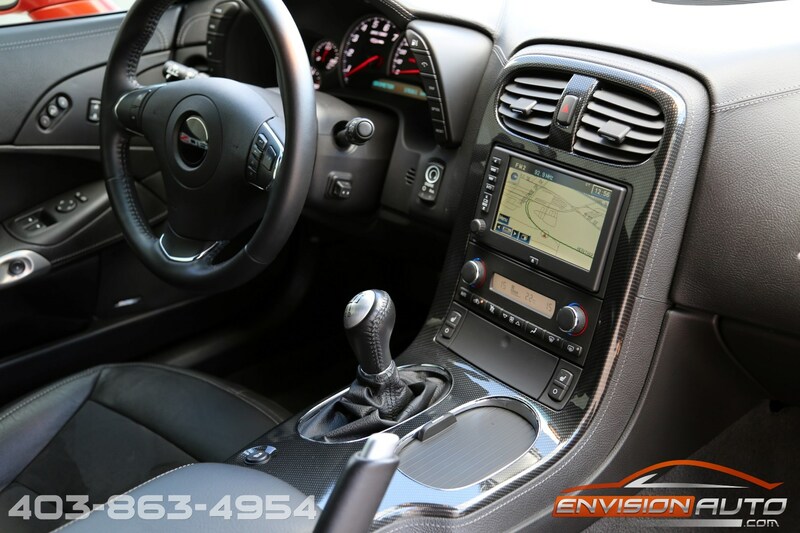 Other factory options include navigation, heated driver and passenger seats, 6 way power adjustable driver and passenger seats with bolster and lumbar support, bose 7 speaker stereo, handsfree Bluetooth, chrome spyder wheel package, and more! 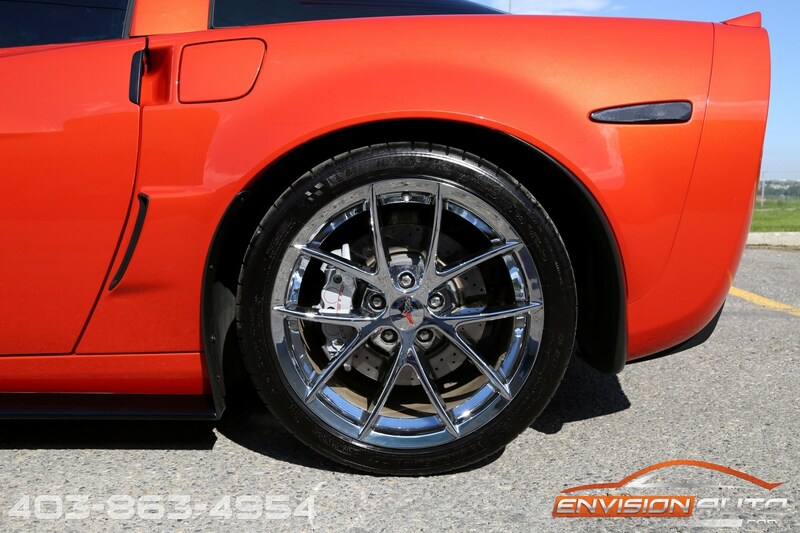 Color: Inferno Orange Metallic Ext. 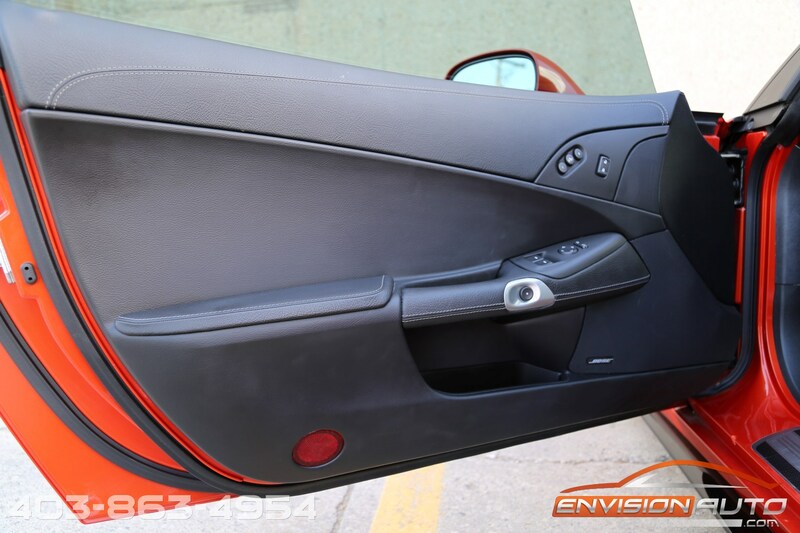 w Full Black Leather Wrap Int.